TransGriot Note: DADT goes bye bye this month. But there's one segment of the community who once again will be Left Behind as the GL segment of the community gets civil rights that the trans community as Autumn Sandeen demonstrated helped them fight for. TAVA President Monica Helms in this guest post talks about the moment of silence being organized to remind the GL community and our allies the fight for transpeople to serve openly in our military isn't over. September 20, 2011 will go down as one of the most pivotal days in LGB history. 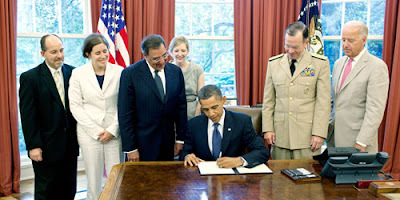 On that day, gay, lesbian and bisexual service members will no longer have to hide their sexual orientation from the US military. 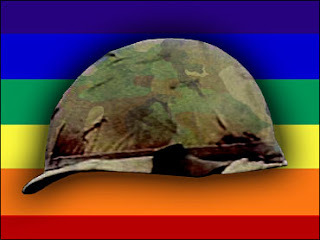 LGB people will be allowed to enlist (or reenlist) in the military, and those already serving will be able to openly say who they love if they wish to. However, for the trans community, September 20 will be a bittersweet day. The “sweet” will be because we will all be thrilled to see another wall of discrimination crumble into history. We will celebrate along with our LGB brothers and sisters, and thank all of those who have served our country proudly. Our thanks will also go out to those who will step forward to join their ranks. Tears of joy will flow that day from all of us. The “bitter” part comes when the celebration is over and trans people will still face discrimination from the US military. Trans service members will be ejected because the military says we have a “psychosexual condition,” which they put in the same category as “exhibitionism, transvestism, voyeurism, and other paraphilias.” No trans-identified person will be allowed to enlist for the same reason. The Transgender American Veterans Association want to first congratulate all the people who worked tirelessly on getting Don’t Ask, Don’t Tell repealed and helped the Administration and the Department of Defense to smoothly integrate LGB people into the services. Our members worked alongside LGB people to put this terrible law to rest and we are proud to see our work not go in vain. By selecting "Attending" on this it means that you are committing to holding a Moment of Silence at any celebration you attend on September 20, 2011. This moment is to honor our trans service members who still won't be able to serve openly. Thank you.